Enoree, South Carolina belongs to Spartanburg county and has a population of 665. It is a small town, but it is still functioning and belongs to a great county and offers great homes for sale. Spartanburg county provides a wide array of events, programs, activities, and opportunities for its residents. Enoree is just 30 minutes from the bustling city of Spartanburg, a perfect commute time for work, school, or recreational activities. It is also less than 45 minutes from Greenville SC. For a day trip to the zoo, Columbia is just over an hour away and Lake Greenwood is just under an hour away for those hot summer days. Schools in Enoree are split up among several Spartanburg county school districts. These districts are notable for numerous things such as overall quality, college readiness, best teachers, best administration and so on (6 of Spartanburg’s 7 districts are ranked in the top 25 for best school districts in the state). Enoree is surrounded by nationally recognized and accredited universities and colleges, giving students a wide range of options. Enoree is the perfect place for work, school, or play. In one of the best counties in the state, you can’t go wrong when choosing a home for sale that’s right for you. 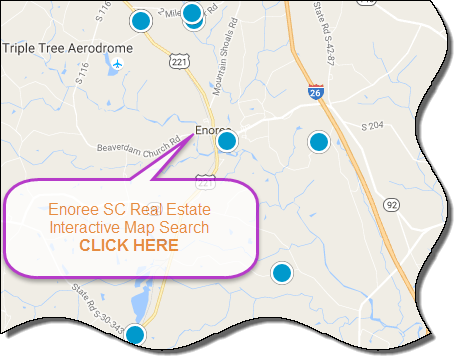 If you're looking to buy or sell a home in the Enoree area, contact the PRODUCER Realty expert real estate team at 864-438-5050. 10+ acres in a rural area. Perfect spot to build a home or enjoy as a hunters retreat. Mobile home is already in place. Value to the land only. 3BR/1BA home perfect for investors. Tenant occupied for $650/month to month. 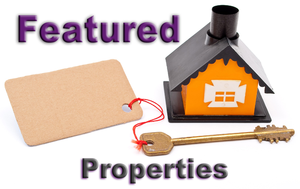 Drive by first and call for an appointment, will need 24-48 hours notice to show property.